Unnoticed Modern: The Midcentury Architecture of Evansville, Indiana | Cultural Resource Analysts, Inc.
Over the last year, I have been spearheading a study to document the midcentury architecture of Evansville, Indiana, a regional center on the Ohio River that, like many communities, witnessed numerous transitions in the post-World War II era as a result of burgeoning populations and the accompanying need for new dwellings, commercial venues, and community resources. The Unnoticed Modern initiative is the first systematic look at this period of Evansville’s history, which has to date been left out of the narrative of the city’s rich legacy. At the heart of the project is its goal: to bring into focus the places of the recent past that formed the backdrop of everyday life in midcentury Evansville and now define the continuum of the city’s rich architectural, social, and cultural heritage – those resources that have gone unnoticed, been neglected, and depreciated against more traditional ‘historic’ resources. he study has been an endeavor of extensive archival research and documentation – scouring newspaper archives, reviewing city plats and subdivision plans, and collecting, scanning, and photographing original architectural drawings, specifications, and renderings that have not been viewed by anyone outside of the firms since the 1970s. These documents collectively provide a picture of the shifting paradigms in architecture during the era and relate how forces of social and cultural norms, needs, and expectations modified the built environment. The archival research has been complemented by a strong documentation effort, with which identified resources have been captured in high-quality photographs. All information collected about a property is entered into a database, georeferenced, and linked to archival information such as photographs, newspaper clippings, and drawings. The end result of this endeavor will be two public documents that chronicle the midcentury development and architecture of Evansville. The first, “Unnoticed Modern,” will present a thematic contextual discussion of domestic, ecclesiastical, commercial, and institutional architecture in Evansville. The second, “Vision & Legacy,” will focus on the work of Hironimus-Knapp-Given, a regionally important firm whose work has been previously unrecognized. 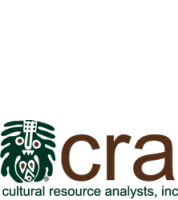 When finished, both will be freely available to the public through local and statewide preservation agencies, and will be made available on the CRA website.